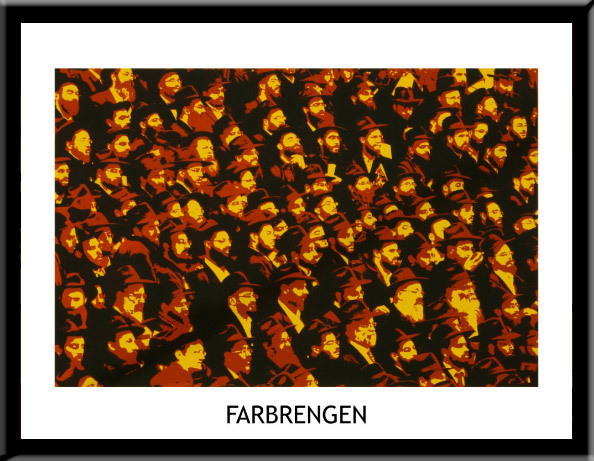 Chassidic pop art is a creative new approach to traditional Chassidic and Jewish art. Combining bright bold color with warm, timeless Judaic and Chassidic images, the artist intertwines the history and deep culture of the Chassidic world with the bright and colorful world we live in today. 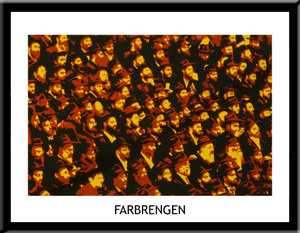 This cool piece depicts images of men participating in a Chabad Farbrengen. The piece is framed with a solid wood black frame and measures 16 inches high by 20 inches wide.